Nuclear waste management, environmental remediation, leaching assessment and methods, management of residuals from energy production, contaminant mass transfer applied to groundwater, soil, sediment and waste systems. 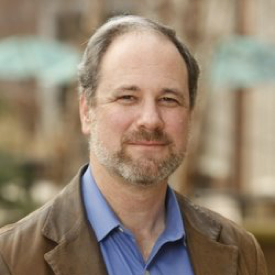 Dr. Kosson is Professor and Chair of the Department of Civil and Environmental Engineering at Vanderbilt University, where he also has joint appointments as Professor of Chemical Engineering and Professor of Earth and Environmental Sciences. He also is co-principal investigator (with Charles Powers) of the multi-university Consortium for Risk Evaluation with Stakeholder Participation (CRESP). Professor Kosson’s research focuses on management of nuclear and chemical wastes, including process development and contaminant mass transfer applied to groundwater, soil, sediment and waste systems. His research in collaboration with the Energy Research Centre of The Netherlands on leaching of contaminants from wastes and construction materials is currently providing the foundation for environmental regulation of these materials at USEPA, the Netherlands Ministry of Environment and the European Union’s Directorate General for the Environment. Professor Kosson has participated in or led many external technical reviews on nuclear waste processing for the Department of Energy including for tank wastes and a range of technology approaches at Hanford, Savannah River and Idaho sites. National Research Council Committees (Board on Army Science and Technology): Committee on Review and Evaluation of Alternative Technologies for Demilitarization of Assembled Chemical Weapons: Phase 2 (ACW II), Member 2000 to 2002. Chair, Committee on Review and Evaluation of the Army Chemical Stockpile Disposal Program (Standing Committee), July 1998-July 2000; Member, 1993-2000. Panel on Review and Evaluation of Alternative Chemical Disposal Technologies, Member,1995-1996. Chairman of Leadership Committee: Vanderbilt Institute for Energy and Environmental, 2007-2008.